In a vote on 17 April 2019, the European Parliament endorsed a provisional agreement reached by co-legislators on the EU Space Programme for the 2021-2027 budget period. The agreement passed by a large majority, with 560 votes in favour, 63 against and 32 abstentions. In June 2018, the European Commission proposed the new EUR 16-billion EU Space Programme to help maintain and further enhance the EU’s leadership in space. 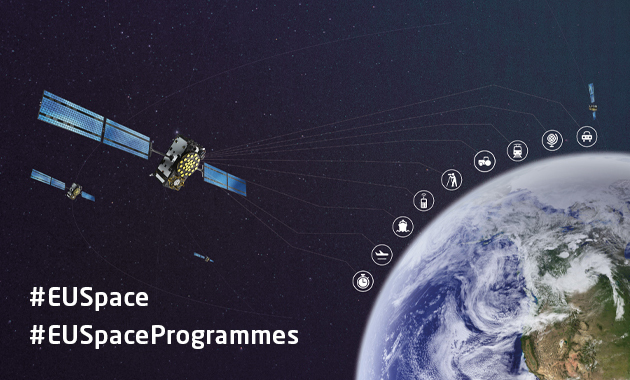 The Commission’s proposal brings all existing and new space activities under the umbrella of a single programme and will foster a strong and innovative space industry in Europe. Elżbieta Bieńkowska, Commissioner for the Internal Market, Industry, Entrepreneurship and SMEs, welcomed the vote. “Space technology, data and services have become indispensable in the daily lives of Europeans and for Europe to pursue its strategic interests. We therefore need to ensure continuity and financial stability in our space activities,” she said. Commissioner Bieńkowska also highlighted the importance of space for the European economy. “Europe’s space industry is the second largest in the world, and its space-enabled services fuel a steadily increasing 6-9% of our economy. The EU Space Programme will be key to keep this trend going,” she said. The Commissioner cited Copernicus and Galileo as “two successful EU space programmes that already improve the lives of citizens and business in Europe and beyond,” adding that, with its vote, the European Parliament had sent a clear signal to the space sector that these flagship projects would continue to prosper and evolve towards new services. “Space matters for Europe,” the Commissioner said. For more information, read the full original article on the GSA website. The European Commission received 1752 proposals for the European Innovation Council pilot’s SME Instrument Phase 2 before the latest cut-off date on 9 January 2019. Small and medium-sized enterprises (SMEs) from 37 countries submitted proposals. Selected projects will be announced in early March 2019 at the latest. In this phase of the SME Instrument, each project will receive up to €2.5 million to finance innovation activities like demonstration, testing, piloting and scaling up. The companies will also benefit from 12 days of free business coaching and acceleration services. The biggest number of proposals for this batch were submitted by Spanish applicants (266), followed closely by Italian (182) and Israeli applicants (136). In addition, applications are evaluated in two steps, a remote evaluation and a face-to-face interview with a Jury of business and innovation experts. These interviews will concern around 135 companies, approximately half of which will get the funding. The interviews will happen in Brussels during the week of 11-15 February 2019. For more information read the tips for applicants. Results are expected to be announced in early March 2019 at the latest. The European Innovation Council (EIC) pilot is inviting the small companies it funds to Berlin on 10-11 September to meet investors and big corporate players. Further investors and corporates will be announced but here are the 10 first names not to be missed in Berlin! The EIC Innovators Summit will bring together small companies, start-ups, innovators and researchers to meet and find potential partners. The two-day conference will be filled with pitches, workshops, networking and matchmaking opportunities. The event is on invitation only so check out your mailbox; the event registration code is in your email invitation. The event is primarily designed for selected participants of the European Innovation Council (EIC) pilot programmes (SME Instrument, Fast Track to Innovation and FET-Open, EIC Horizon Prizes), which will receive their invitations as a priority. Other invitees will be considered should there be additional spaces avilable. Interested in being considered for the guest list? Participate in one of our pitching contests in front of a Jury of investors and try and catch their attention with your idea! When registering you can apply to one of the pitching sessions: life science, medical devices, software, Industry 4.0, new materials, mobility, green energy, Food/Agritech. Places are limited so be sure to sell your case well! For more information on the event, visit the event website, and follow #EICSummit18 on Twitter. Read the full article on the EASME website. The European Commission received 216 proposals for Fast Track to Innovation (FTI) before the latest cut-off date on 31 May 2018. Fast Track to Innovation (FTI) is a fully-bottom-up measure that promotes close-to-the-market innovation activities that is open to all types of participants. As there are no set topics, proposals are classified according to the keywords introduced by applicants. The top keywords introduced were engineering, health and energy. The proposals include participants from 31 countries, the biggest number of application were submitted by project proposals coordinated in Spanish, Italian and German applicants. Most of the proposals have four participants. The Fast Track to Innovation (FTI) is now central part of the European Innovation Council (EIC) pilot, targeting radically new, breakthrough products, services, processes or business models that open up new markets. FTI promotes close-to-the market innovation activities open to all types of participants. The programme offers € 3 million to consortia composed of 3 to 5 partners including mainly industrial participants. The next cut-off date for FTI is 23 October 2018.